The University of Alabama at Birmingham had some top area players in 1985, the top, the team's coach believed, according to the university's Kaleidoscope paper, was Hunter Hoffman. A product of Trussville High School, Hoffman hit .543 his final year in high school, while hitting 10 home runs, the Kaleidoscope wrote. "We are very fortunate to have signed a player of Hunter's caliber," UAB coach Harry Walker told the Kaleidoscope. "He's an outstanding player from a high school program and we look for him to step into our program next season and contribute immediately." While Hoffman may have signed with UAB, it appears he never played with them. Instead, he turned pro, signing with the Royals. He went on to play five seasons. He never made the majors. Hoffman's career began that year, taken by the Royals in the 26th round of the draft out of the Birmingham suburb of Trussville. 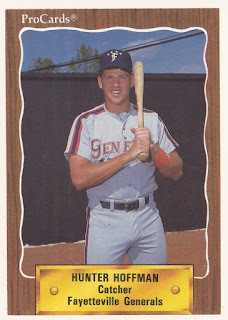 Hoffman started with the Royals in the rookie Gulf Coast League. He hit .230 over 38 games in 1985. He returned to the GCL for 1986. In 32 games that year, he hit .234. Hoffman isn't recorded as playing in 1987. He then returned for two games in 1988 at independent Miami. 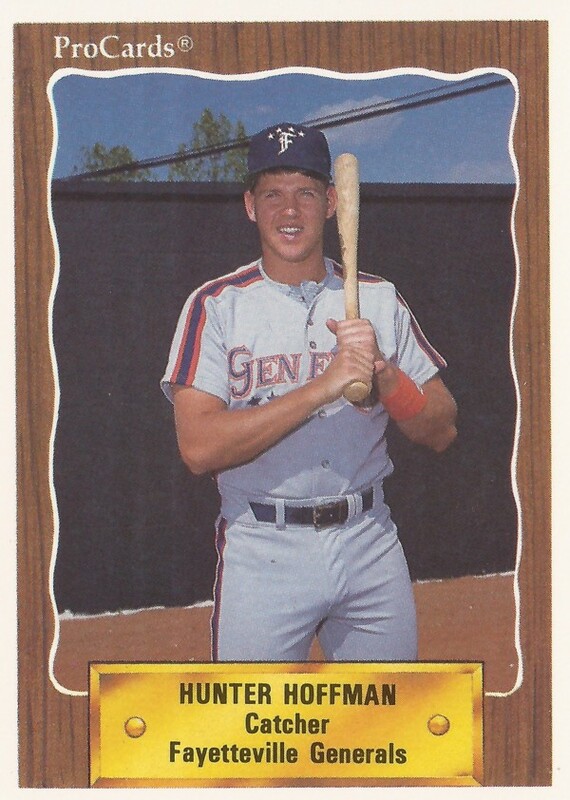 He signed with the Mariners for 1989, playing most of that year at single-A Wausau. In 87 games, he hit .259. Hoffman also got into one game with at AAA Calgary. He got one hit there in his only at bat. For 1990, Hoffman signed with the Tigers, getting assigned to single-A Fayetteville. The Fayetteville Observer, in writing about the team getting settled in April described Hoffman trying to find a working television. On the field, the team looked at Hoffman as their possible designated hitter. He didn't last long. He got into nine games and hit just .130. Those nine games marked the end of his professional career.